- Great for synchronizing large collections of media files such as MP3s, Videos, etc...between two hard drives without copying every file. Save time by only copying the files that are new or different. 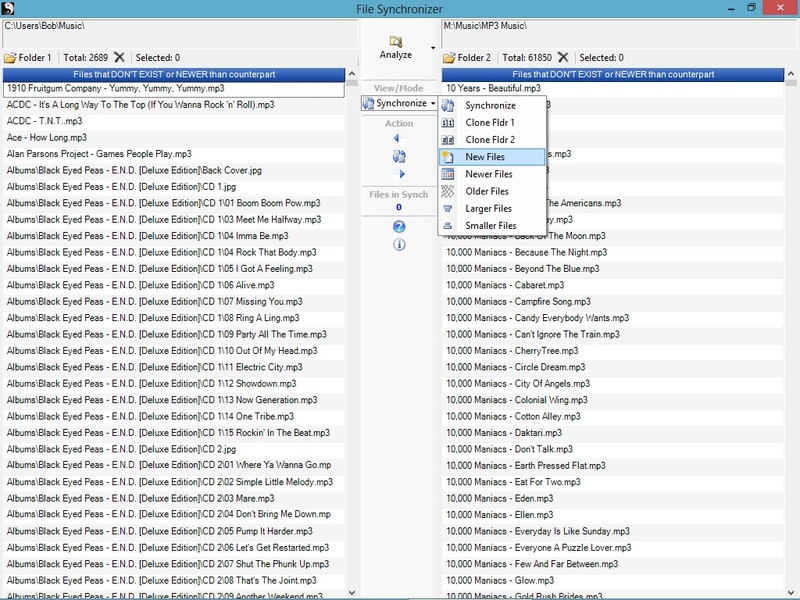 Use "Clone Mode" to synchronize a folder to match a master folder. - Works with external drives and computers connected over wired or wireless networks. - Also works as a great backup utility. Backup only the files that have changed for speedy backups. (not to be used for backing up entire hard drive as the program does not have the ability to backup system files) " I am not a techy type, but your system is so easy to install and use. I could not have hoped to find a system that is more perfect for synching files from one computer hard drive to another. Great Job, and thank's again."